Back to base alarm monitoring means constant supervision of your home or business security system, watching out for the times it is triggered. 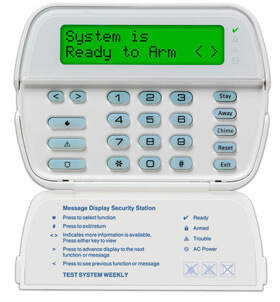 Your security system will report back to our Grade 1A control room around the clock and, depending on the components of your security system, will indicate when any security breach or event occurs. Allowing us to promptly despatch trained personnel to assess whether the alarm call is genuine or not, and respond to the situation as it requires. Whether you need to protect your home while you are away on a ten day family holiday; or are a business owner needing to protect your property and assets afterhours, National Electronic Security can help. With comprehensive knowledge and experience installing a wide variety of leading security systems we understand the ins and outs of monitoring a wide range of alarms. Ultimately giving your property a proactive and responsive approach to security and ensuring no alarm call is ever ignored. Once you’ve installed a security system in your home you may think activating it and having a nice loud siren is enough protection to deter burglars. Unfortunately, false alarms have become so commonplace that police will not respond unless they get visual confirmation of an intruder, and many career criminals know this. This means relying on the good intentions and presence of mind of bystanders or neighbours to check your home when the alarm does sound. As lovely as your neighbours may be, leaving it to them is leaving it to chance. They may not be around, or awake, to check on your alarm. If you put yourself in their shoes, would you really want to get out of bed at 2 a.m. on a cold night to check if criminals are active on your street? Thankfully, with a professional back to base alarm monitoring service you can protect your home and don’t have to leave it to chance. With an NES monitoring service you’ll get the reassurance of knowing you’re covered day and night. Our monitoring centre will watch over your property and respond to your predetermined response plan promptly, whether it be contacting you, a trusted neighbour, the nearest police station or despatching a trained patrol. To protect your home from just $7* per week call on 1800 300 870 or click here to email us. *Please note every home requirement is different but $7 is the starting weekly monitoring investment. 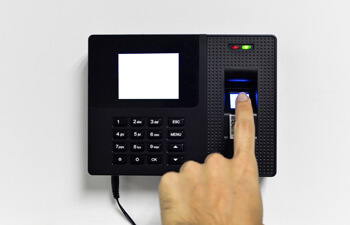 Keeping your business secure from intrusion, vandalism and burglary requires a robust security system. An important component in safeguarding your premises and assets is having a back to base component to your alarm. Your business is most vulnerable in the hours after you have locked up for close of business. Especially during times when the Police Force’s attention is focused on other priorities, such as on busy Friday and Saturday evenings. Including a back to base alarm monitoring service means preparing your property against potential criminal activity all year round, and not giving thieves any window of opportunity to exploit. Our service is reliable, you can count on our experienced team to identify and respond promptly and appropriately to any triggered alarm. This reliability stems from our dedication, and is especially noticeable when we have performed the installation process for your business security system as well. With many insurers requiring a quality level of security monitoring before they will insure your business, a monitoring service is a must, and starting at just $8 per week, it’s a highly economical investment. To protect your business please contact us on 1800 300 870 or click here to email us. *Please note every commercial requirement is different but $8 is the starting weekly monitoring investment. This dedicated integration with your home security system means a better way to manage your security via remote control, and a real-time view of the ongoing integrity of your security system. With a Grade 1A control room and a track record in providing excellent monitoring services you can trust the protection of your property to us. As highly qualified service providers for a wide range of proven security systems we have the comprehensive knowledge to effectively monitor your security system. Contact us today on 1800 300 870 or enquire online, experience the National Electronic Security difference. WE’RE HAPPY TO DISCUSS YOUR SECURITY REQUIREMENTS AND PROVIDE A SOLUTION.